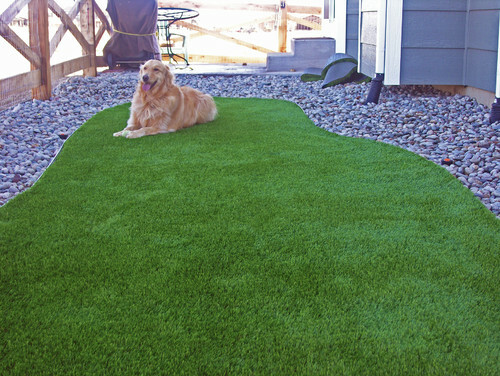 Make your dog’s life more comfortable (and convenient for you) with customized, canine amenities. Life with dogs is messy. 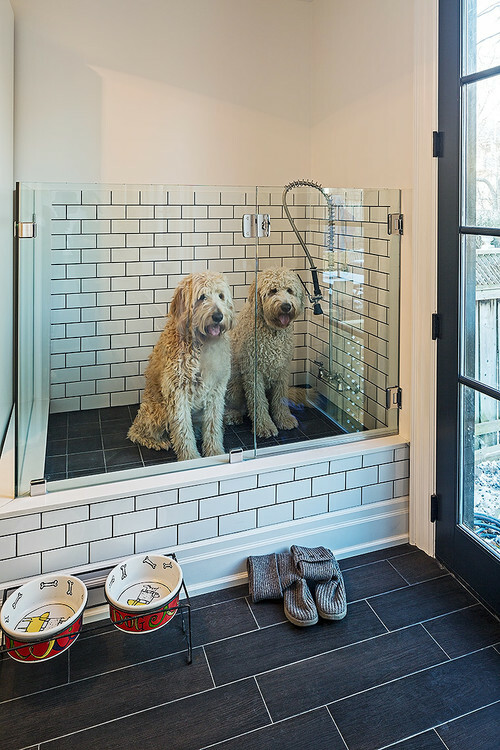 Our four-footed buddies may be part of the family—they’re our furry kids—but they can also be wet, muddy, and, depending on what disgusting thing they’ve rolled in, stinky. Dogs also require food, treats, leashes, collars, balls, toys, beds, brushes, shampoo, conditioner, more toys…in other words, stuff; lots of stuff. Why not design the house to accommodate? Savvy dog owners and designers have done exactly that. Dog racing into the house covered with mud? Keep the mess confined in a mudroom with easy-to-clean flooring. 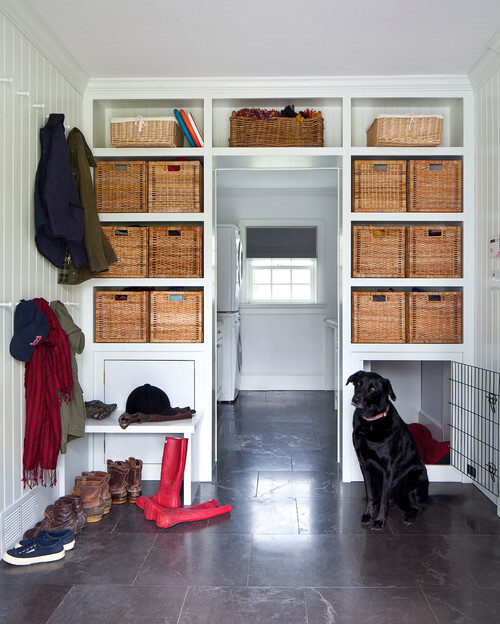 This mudroom includes space for plenty of baskets for human and canine supplies. Dogs love to be underfoot in the kitchen, the better to hang out with you and to help by cleaning up anything edible that hits the floor. Keeping them out can be a hassle. It helps if you give them their own special spot in the center of the action. 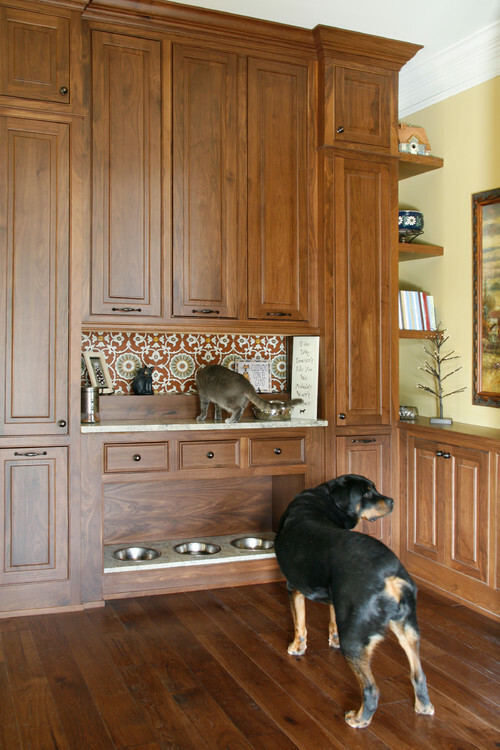 There’s no need to have dog—or cat—dishes underfoot if you add a recessed shelf for food and water bowls in the mudroom. Dogs agree, the next best thing to curling up in your bed is sleeping in their own custom-built nest in your bedroom. Artificial turf and rock landscaping make cleaning up the yard a snap. Just add a few toys to keep your buddy entertained in the bathroom.